A game to encourage Social Thinking, perspective taking and social problem solving. The Primary School (Elementary School in the USA) Edition of our popular Should I or Shouldn’t I? What Would Others Think?™ game encourages players ages 8-11 to think about their own behaviour choices and then compare how their perceptions match (or don’t) those of the other players. 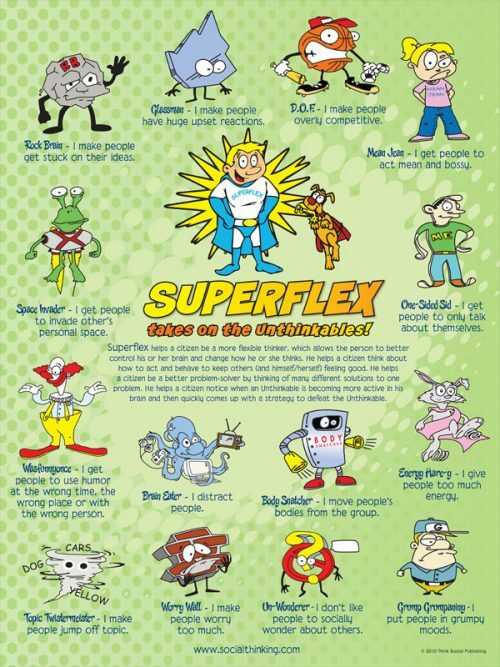 Buying Tip: A fun way to reinforce the work you are doing to teach perspective taking. The game makes thinking and talking about behaviour fun and allows players to explore their own thoughts, perspectives and choices within a safe and consequences-free environment. Game play offers abundant opportunities to practice Social Thinking concepts, perspective taking and problem solving skills and discuss how our individual behaviour choices affect those around us. 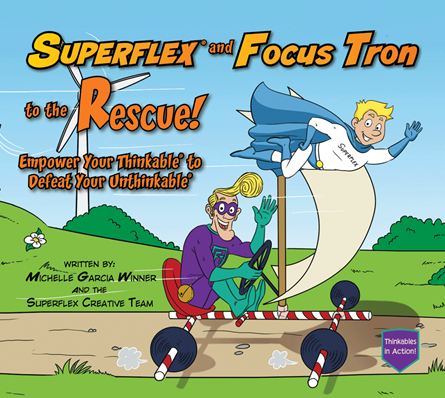 The game is based on the Social Thinking concepts and vocabulary introduced by Michelle Garcia Winner and outlined in her many books and articles on the topic. 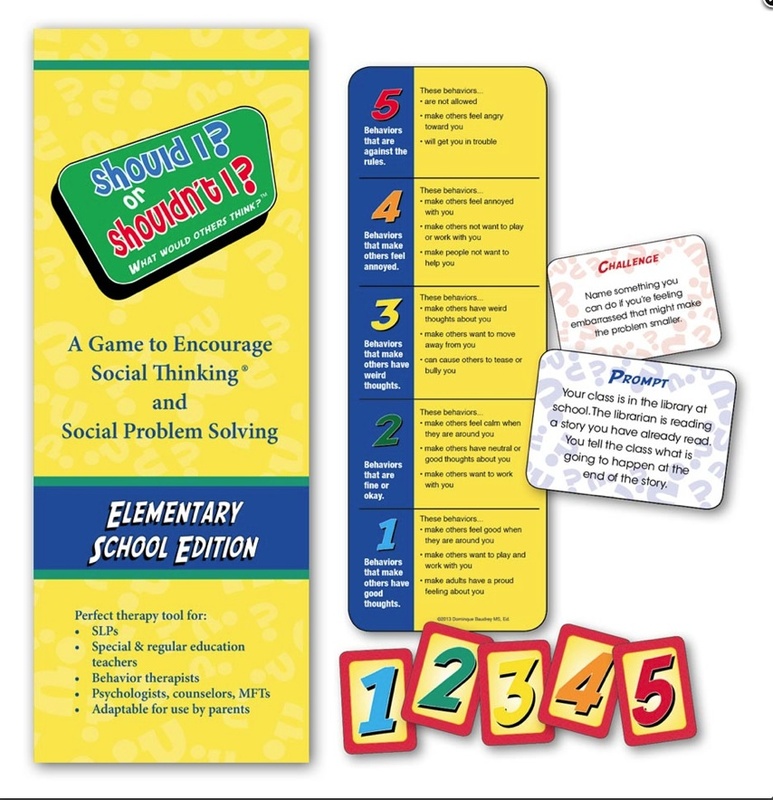 Think about your own thoughts and behaviors and those of others in various situations posed on Prompt and Challenge cards; match the other players’ responses to score points and win. One of the key aspects of being a good social thinker is being able to consider the thoughts and feelings of others, an ability referred to as perspective taking (PT). Perspective taking is one of the more complex and challenging to teach of the core components that make up Michelle Garcia Winner’s ILAUGH Model. That’s because PT is not one skill, but a combination of skills that involve thinking about one’s own thoughts and feelings, the thoughts and feelings of others, our own and others’ behaviors, the context of the situation, and using self-regulation to monitor and possibly adjust one’s behaviors. (Read more about the Four Steps of Perspective Taking). The Should I or Shouldn’t I? game is designed to give children a fun and motivating way to improve their social sense, and discuss age-relevant issues in a nonjudgmental setting. 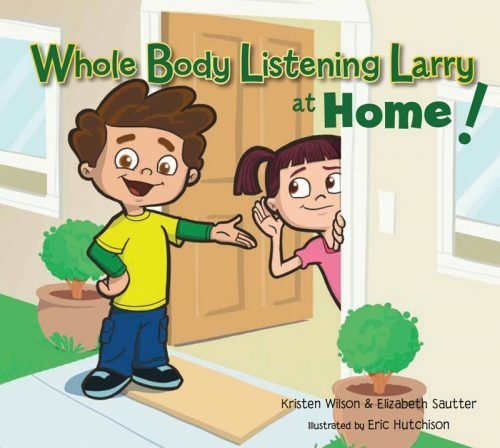 The game fosters important discussions about social situations that primary school students may encounter at home, at school and while they are out and about in the community. 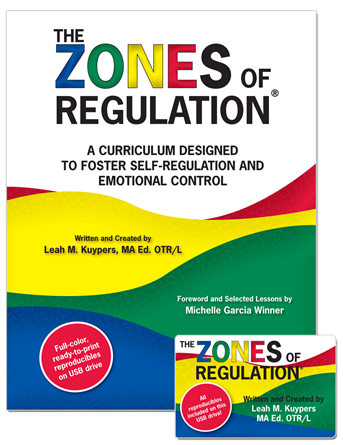 While the Primary Schhol (Elementary) Edition game can be a tremendous help to individuals with social learning challenges, it also encourages greater self-awareness of social expectations and related social skills in any child. The game can be played across various settings: within a clinical setting as a therapeutic tool, in a regular education classroom to discuss different perspectives, within social learning groups to practice skills, and at home with parents and siblings. 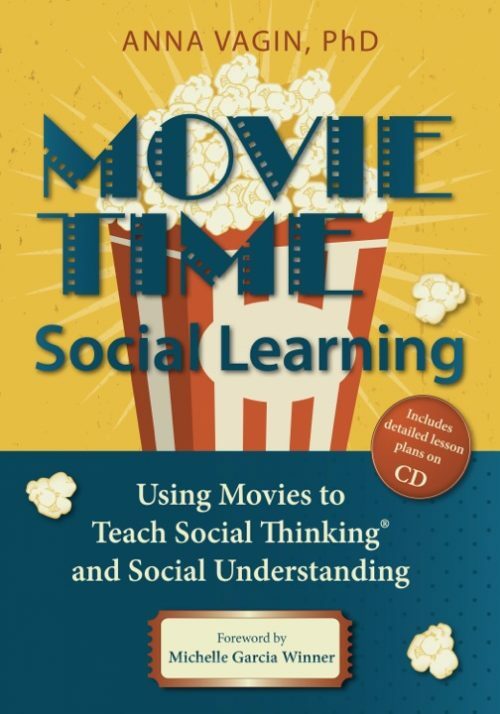 When using the game as a teaching tool it is recommended that the facilitator have an understanding of, at minimum, social learning concepts such as theory of mind, perspective taking, pragmatics, central coherence, and behavior management strategies. A basic component of the game is the Should I or Shouldn’t I? 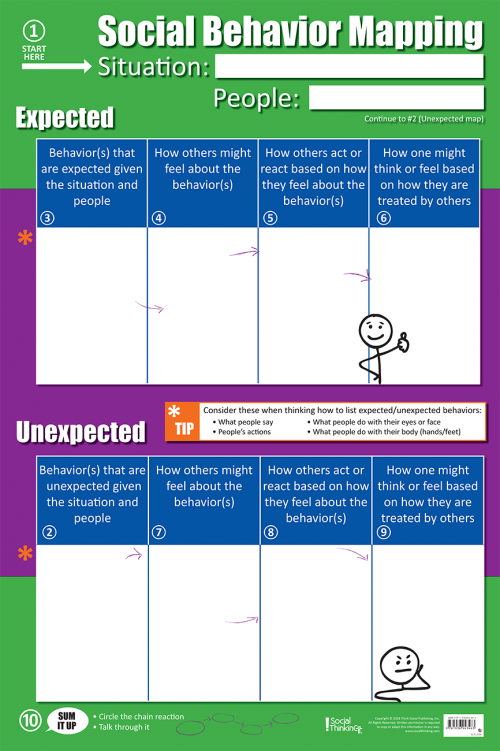 Behavior Scale, a tool that further extends to players a common language to think about social behaviors and how they are perceived by others. 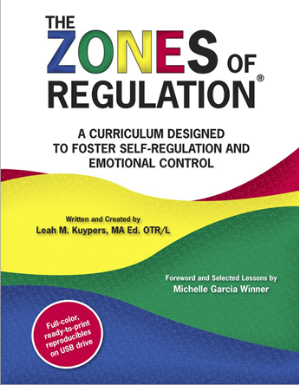 The behavior scale included in this Elementary Edition has a five point format and was inspired by the work of Kari Dunn Buron and Mitzi Curtis and their book, The Incredible 5 Point Scale (2003).